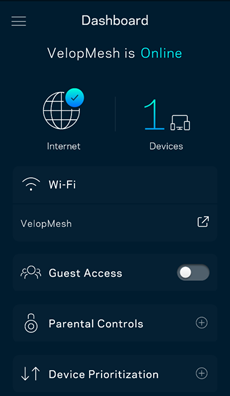 Bridge mode allows you to add your Linksys Velop Intelligent Mesh WiFi System to an existing Wi-Fi. For example, if you have an existing router or modem router (gateway) and you want to continue using it as your router, you can add a Velop system to increase its Wi-Fi coverage. When in bridge mode, your Velop will not have its own separate network. All nodes and client devices connected to your Velop's Wi-Fi or to the existing modem router (gateway) will be on the same network and can communicate with other devices within the network. You must first set up your Velop by following the standard setup process. For instructions on how to set up the first or primary node of your Velop system with an iOS device, click here. If you have an Android™ device, click here. Once your Velop is set up, you can switch to bridge mode. Make sure that you install the latest version of the Linksys app on your mobile device. Your Velop nodes should also be running the latest firmware version. 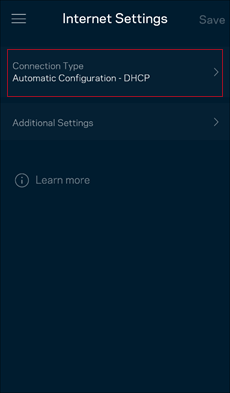 To verify, access your dashboard in the Linksys app, then go to Velop Administration. 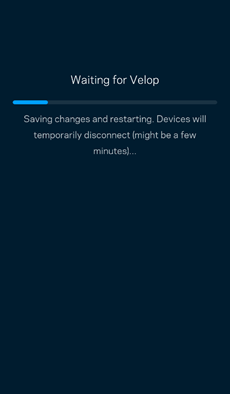 The Firmware Version section of the Velop Administration page will indicate if the firmware is updated or if an update is available. To learn more, click here. Your mobile device must be connected to your Velop's Wi-Fi. You will NOT be able to change the connection type to bridge mode if you are remotely connected to the node. If your initial Velop system has secondary nodes that are already connected, all other secondary nodes will work in bridge mode after you switch to bridge mode. After you switch to bridge mode, you may add more secondary nodes by selecting the option to Set Up a New Product. To learn more, click here. 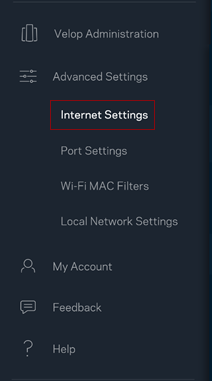 If you want to change your connection type to the previous mode or disable bridge mode, go to the Navigation Menu > Advanced Settings > Internet Settings then select Connection Type > Disable Bridge Mode. 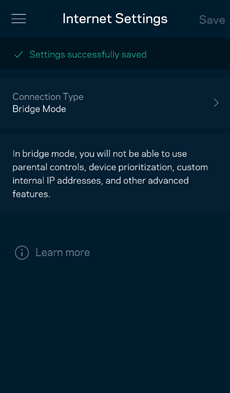 Some features will be disabled when you are in bridge mode, including Parental Controls, Device List, Speed Check, Device Prioritization, and Wi-Fi MAC Filters. Log in to the dashboard of the Linksys app. For instructions, click here. Tap Advanced Settings, and then tap Internet Settings. In the Internet Settings page, tap the Connection Type field or arrow. Change the Connection Type to Bridge Mode. 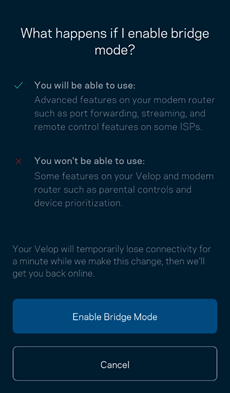 NOTE: If you don’t see the Bridge Mode option, make sure you are using the latest Linksys app version and your Velop nodes have the latest firmware. Tap Enable Bridge Mode when you are ready. While saving your settings, your devices may temporarily disconnect. Once your internet connection comes back, you will be taken back to the dashboard of the Linksys app. The dashboard should display Your Velop is in bridge mode to indicate that you have successfully set your Velop system to bridge mode. Once the node is in bridge mode, the primary node must always be connected via an ethernet cable to your existing router. The secondary nodes can be connected wirelessly or with an ethernet cable.